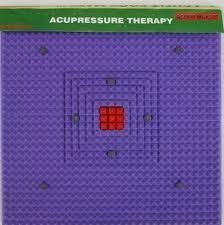 We are the well known manufacturer and supplier of premium quality ACS Acupressure. The offered product is manufactured using fine quality raw material and latest technology. Further, our offered product is thoroughly checked on varied quality aspects before supplying to our valuable customers and are developed as per the set universal norms. Established in the year 2001 at Allahabad(Uttar Pradesh, India), we, "Acupressure Health Care System", We are engaged in Manufacturing and Supplying a large range of Acupressure Products, Acupuncture Products, Sujok Products, Moxibustion Products, Simulator Products, Cupping Products, Massager Product, Magnetic Products, Naturopathy Products, Yoga Products, White Set Pyramid, Medical Books, Medical Charts and Relax Chair. We offer Acupressure which is one of the oldest healing art in which fingers are used to press potent points on the whole body surface. It responds to tension before it develops into a disease and mainly focuses on relieving pain and discomfort. They promote the circulation of the blood and release muscular tension when the key points of the body are pressed. The products we offer to the customers are highly demanded in the market for their high performance, long functional life, effectiveness, durability, reliability and many more features. We offer products to the patrons as per the industry standards and known for their usage in various areas. We have branches in major cities of India and we conduct free seminar and Treatment Camps all over India and abroad. Situated at Allahabad(Uttar Pradesh, India), we are supported by state of art infrastructural facility which is segregated into various departments. The departments of our infrastructure comprise production, quality control, warehouse, testing, packaging and many more. We have equipped all the departments with latest tools, equipment and many more that helps us to carry out activities of business. We have our own Research & Development Department that is well managed by our highly skilled technical experts. The products of our company are procured for their delivery to the customers after passing them through Quality Control department. Our company is also into Publishing of books and chart edited by a team of renowned authors. Under the guidance of Mr. Prem Choudhary , we are able to touch the heights of success. The zeal of learning and gaining more knowledge in the field of Alternative Therapies has inspired him to attend many seminars & conference about Indian systems of medicine & acupressure therapy, so as to incorporate new technology in their working. The team members of our company work using latest techniques to achieve the objective of the company.